The State of emergency declared yesterday February 16, 2016 by TPLF/EPRDF regime once again failed not only to recognize the political reality in the country but also lacks its own basic legal legitimacy. It neither reflects the situation that the country and the people are in nor it recognizes the problems. Rather the state of emergency reflects TPLF/EPRDF regime’s ignorance, facetiousness, and its arrogance and disrespectfulness to the people. This facetious behaviour of TPLF/EPRDF regime is perhaps heading the country into a complete chaos and to more death and further destruction. In fact, this state of emergency is nothing but a continuation of the military rule that has already been in place and this declaration is an attempt to legitimize that. What TPLF/EPRDF regime rather failed to un-derstand is that there is nothing that can stop the power of the people’s movement. Therefore, repeatedly declaring state of emergency cannot reverse people’s quest for freedom and democracy, rather it is a reci-pe for the downfall of the regime. 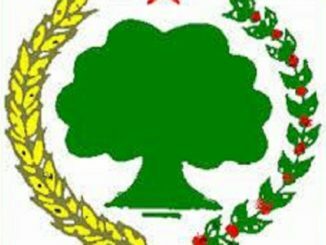 The Ethiopian People’s Revolutionary Democratic Front (EPRDF) government, dominated by the Tigrai People Liberation Front (TPLF), led war on Oromo people is not a recent incident. The Ethiopian gov-ernment openly declared war on the Oromo people in 1992 when TPLF/EPRDF along with their allianc-es expelled Oromo Liberation Front (OLF) from the then transitional charter. For the last 27 years, TPLF/EPRDF is consistently at war with the Oromo people and these all years, TPLF/EPRDF mobilized their so called national army, security forces and Federal and regional police forces to either destroy or suppress the Oromo people’s struggle for freedom. In due process, they have executed mass killings, mass detention and disappearances, confiscation of properties and displacement of millions of Oromo people. 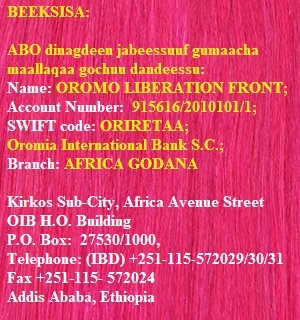 TPLF/EPRDF has committed a genocide on the Oromo people in all corners of Oromia and still continue committing. 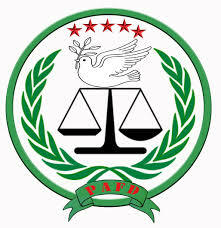 OLF and many international and regional human rights organizations such as a Human Right Watch, Amnesty International, and the Human Rights League of the Horn of Africa have reported TPLF/ ERPDF’s crime on various occasions. Still, there are many more unreported crimes committed on Oromo and other Ethiopian peoples behind the scenes by TPLF/EPRDF. Thus, these heinous crimes should be independently investigated, and those responsible individ-uals must face justice. The Ethiopian people in general and the Oromo in particular are currently fighting against the cruellest government of our time, the TPLF/EPRDF. Due this, today, TPLF/EPRDF’s anti-people and democratic order has been exposed to the international community. Furthermore, forces of change and the people have also dismantled, in many places, the structure of the gov-ernment and thus now they do not have a control over the people. 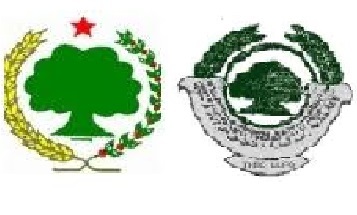 Currently, EPRDF is facing a huge crisis within the government and ruling party. As we all remember, EPRDF held a central committee meeting in December 2017. After the meeting, the committee has released a press, publicly admitting that the government and its leadership are responsible for the political, economic and social crisis that the country is in. However, since then the EPRDF government has continued its harassment, detention, killings and disappearance of decent. In fact, Other than lip service, EPRDF has done nothing to address the grievances of the people. Other than pretending as if they are trying to address people’s concern, practically, the govern-ment did not take any step to solve the crisis. The state of emergency declared yesterday, Febru-ary 16, 2018, clearly revealed the intent of EPRDF not to address the problems, but to continue to govern the country by military power. The EPRDF dictatorial government has been suppressing, detaining, displacing and killing our people and still doing everything possible to re-consolidate its power and continue its dictatorial regime. OLF fights along with the Oromo people to remove this dictator regime and secure peo-ple’s freedom and bring democratic order to the country. 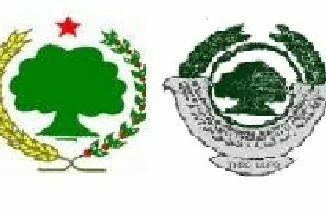 Therefore, OLF calls upon all Oromo people, particularly Qeerroos, and all people in the empire to double their struggle to remove this killer regime and bring a lasting stability and democratic order to the country. More than anytime, all the people in that country should step up and participate in these people’s popular movement in their respective region to topple once for all the TPLF regime from the shoulder of our people. To assure this, OLF has been working and will continue to work with other political parties. Thus, we would like to call once again upon all the political parties in Ethiopia and abroad to work together at this critical time and also ask to positively respond to our call. TPLF/EPRDF specifically declared war on the Oromo people and we, the Oromo political par-ties, have more responsibilities to revert this course from our people and regain the human dig-nity and peace our people lost for so long. Therefore, OLF renews its special call upon all the Oromo political parties to work with the OLF with a goal to bring an end to the suffering of our people.